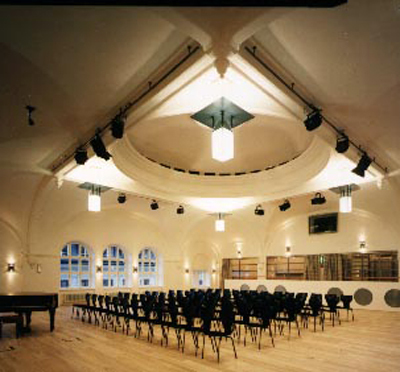 A mere stone's throw from Stureplan in central Stockholm, you find the light and stunning facilities of Finlandshuset. Our venue breathes a remarkable tranquillity despite our central location. This is a peaceful oasis where classic and contemporary architecture merge and together present one of the most modern and pleasing conference venues in the City of Stockholm. The large and versatile facilities are perfectly suited for workshops, presentations, lectures or concerts. Throughout the years, Finlandshuset has hosted many exhibitions within areas such as design and art. Have you been to Finlandshuset and want to give your own comments?